Have questions? Want to plan a visit? Need more information? Your LaGrange College Admission Counselor is the person to contact! We'll walk you through anything and everything you need to know about joining the LaGrange community. Each counselor specializes in specific academic areas and athletic teams. Andrea is originally from Minneapolis, Minnesota, and graduated with a B.A. in English from University of Wisconsin Eau Claire and an M.A. from the University of St. Thomas. During her free time, Andrea enjoys spending time with her friends, running outside with her dog, attending karaoke nights and traveling around the world. Braxton was born in LaBelle, Florida, and graduated with a Business degree from LaGrange College. While at LaGrange, he played varsity basketball for four years and won two conference championships, and spent time in London studying Sports Management. Away from the office, he enjoys pickup basketball, working out and fishing on nearby West Point Lake. He never misses an opportunity to beat any and all takers in a serious game of Call Of Duty or NBA 2K on PlayStation 4. I graduated with a General Studies degree with a focus in Music and Theatre from LaGrange College. During my time at LaGrange I participated in many Theatre Arts productions, including "Sweeney Todd" my freshman year, and had the opportunity to study in Barcelona and the South of France through my Jan Term trip. I love singing, reading and drawing in my spare time, and I love watching crime dramas on Netflix. I’m also a big fan of soccer. "I think that the opportunity to work with so many different types of people is extremely exciting. To be able to help students find a campus that fills a need in their lives is a real blessing." Justyn was born in Corbin, Kentucky, and moved to LaGrange in 2010. He recently graduated with an Exercise Science degree from LaGrange College. While on campus, he played varsity basketball—winning conference championships in 2015 and 2017. During his off time, he enjoys working out, playing pickup basketball or spending time in the outdoors. "I love meeting so many different students and hearing their stories. 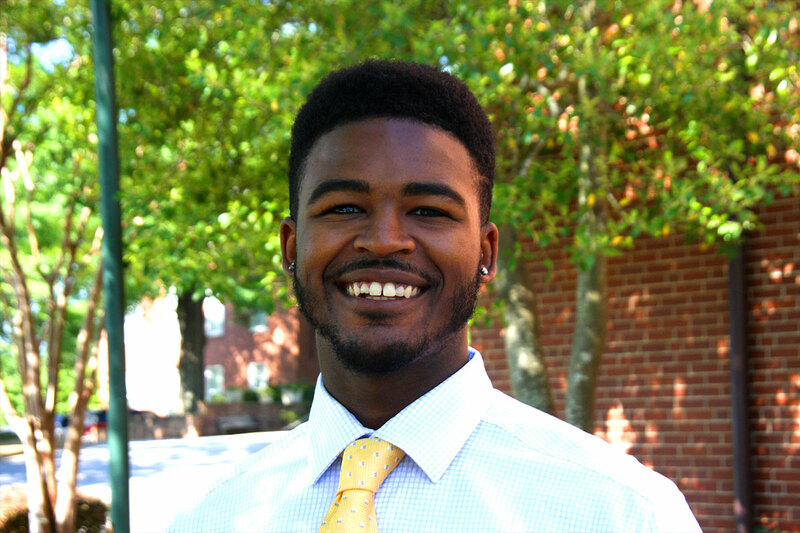 I also love being able to assist in giving them the same, wonderful experience that LaGrange College gave to me." Ansley was born in Columbus, Georgia, and is a recent graduate of Columbus State University, where she earned her B.A. in Communications - Public Relations. During her time at CSU, she was also social media certified. She enjoys spending time on the lake with her family and friends during the summer. Ansley also loves baseball and football!